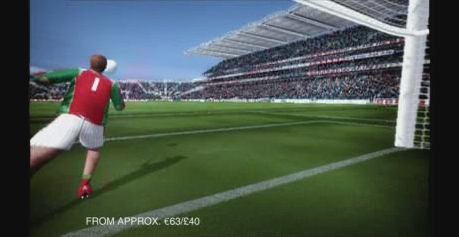 An in-game action still of from a TV advertisement for Gaelic Games: Football. The Gaelic Players Association, who have 1,400 members, have called the GAA-backed ‘Gaelic Football 2005’ PlayStation 2 game “disrespectful” and “deceitful”, because of the way the makers have not included the images of GPA members. The games events at the Digital Hub continue with ‘Talk Digital: Game Design - Responding to New Interfaces’, a games industry Careers Expo, and a Wireless Wednesday seminar 'Mobile Games - Successful Business Models'.